Review: In childhood, I was able to distinguish between Ripley’s Believe It or Not! and In Search Of largely based on the tone set by their respective hosts, a tone that also set how much, if at all, I bought into the shows’ outlandish claims and investigations. Jack Palance was brash and audacious and made Ripley’s seem like a reliably thrilling adventure, but he didn’t necessarily give the impression of scientific rigor, and I just as often took the “Or Not!” option. Leonard Nimoy, in contrast, felt less confident than Palance, but also more inquisitive. Even though he was the less credulous host and his show less frequently reached the conclusions I was hoping for, whatever he told me I was usually willing to believe. 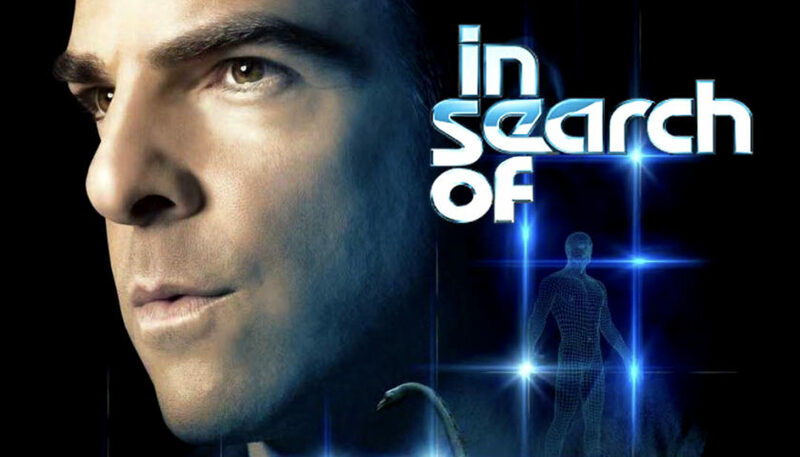 Zachary Quinto, who is building an interesting career in part by filling Leonard Nimoy’s shoes, takes over as the host of History’s new In Search Of. The venerable format, originally featuring Rod Serling and briefly rebooted with Mitch Pileggi, once again follows the lead of its host. Quinto is curious, eager, unexpectedly intense and amusingly easy to please, setting the tone for a show that makes for a fun and easy watch, and one that doesn’t set its ambitions very high. With Quinto also serving as executive producer, along with Ben Silverman and series director Eddie Schmidt, In Search Of has more book smarts than that series where Rob Lowe and his kids look for ghosts, and not as much as a dozen or so documentaries and specials on Discovery, National Geographic and Science Channel, places with less room for whimsy. With an expanded running time — an hour, up from the original’s usual half-hour — the new In Search Of begins as a vaguer and fuzzier version of a show that used to dedicate episodes to very specific subjects like Pompeii, the Loch Ness monster and even the death of Glenn Miller. The three episodes sent to critics focus on “Aliens,” “Superhumans” and “Monsters of the Deep,” all topics seemingly designed to spawn 10 or 20 fruitfully focused subtopics. Were I attempt to rename the episodes based upon what they actually concentrate on, I’d go with “People Who Say They Were Abducted (But Probably Weren’t),” “Why Shaolin Monks Are Badass” and “Sand Fleas.” This is not to criticize any of the episodes, but rather to indicate more realistic expectations for the show. I take that back, because in another scene, Quinto goes scuba diving, makes it as far down as 50 feet and comes up giddily exclaiming: “That was amazing. We saw an octopus.” Not a giant squid. Or a special octopus. Just an octopus. Clearly there’s a need for the episode to redefine “monsters” as well. The closest the episode comes to fulfilling its title is when Quinto walks through a repository of preserved specimens, looking at tubs of weird creatures that, in their natural habitat, lurk undisclosed distances below the water’s surface. Once again, it’s a mixture of scary and disturbing and cool and, once again, the title “Pickled Freaky Fish” wouldn’t have been as enticing. When it settles for small victories, In Search Of yields answers. The “Superhumans” episode uses, as its two main subjects, a fairly anonymous guy who gained miraculous strength to save a stranger from a burning car and the Venerable Shi Yan Fan, an ordained Shaolin monk. The episode doesn’t ask if humans are capable of flying or transforming into wolves; rather, it ponders the extremes the body can be pushed to under certain circumstances. Quinto has a good time playing with the scientific equipment, discussing his meditation skills and making the subjects feel comfortable and engaged. He also gets briefly, but fully, invested in testing his own superhuman potential, and it feels like the sort of thing that could be a villain origin story for a different kind of Zachary Quinto character in a different kind of show. There’s also something endearing about the show’s willingness to fail in its individual missions. Instead of extraterrestrials, the “Aliens” episode includes ordinary people, some of surprising intelligence, who claim they’ve been abducted and experimented on. Quinto, who listens attentively and sympathetically, responds by performing experiments on the abductees. He’s open and trusting, and the show is perfectly chill with the idea that sometimes the results of its trials and tests don’t yield the intended results. Just as Animal Planet’s Finding Bigfoot understood that the heart of the series was a quest for knowledge and not the bagging and tagging of Sasquatch, In Search Of revels in asking questions and looking around, even if much of that looking tends to be geographically proximate to a single expert or location, as if going more than two places per episode would exceed the budget. (A fair amount of the “Aliens” episode is spent in West Virginia, at the Green Bank Telescope.) Yet it’s always interesting to witness the lives of experts who are devoted to a pursuit that many would deem one of constant failure. That’s basically the message of the show: that it’s cool to search, however little resources you might have to do so, and however little you might find. It’s a message that’s important and inspirational, in ways that recall how the original version of the show felt to me as a child.